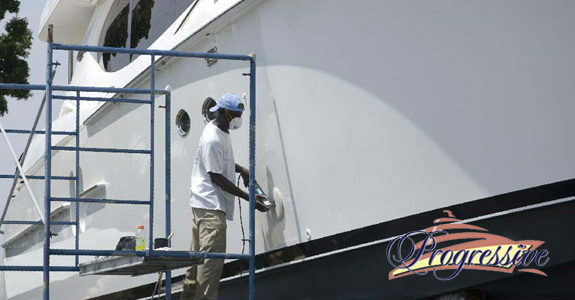 Yachts can become scummy, smelly, and dull due improper care as well exposure to weather and water. Our professional, experienced team will help you fulfill your dream of maintaining your yacht so that it’s the best looking marine vessel in the water. 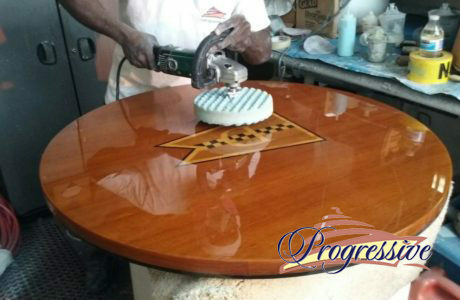 We use top of the line products in all of our boat waxing and detailing jobs. We will come to your local marina or dock to provide complete and thorough detailing and shining, with careful treatment of your vessel and surrounding property. 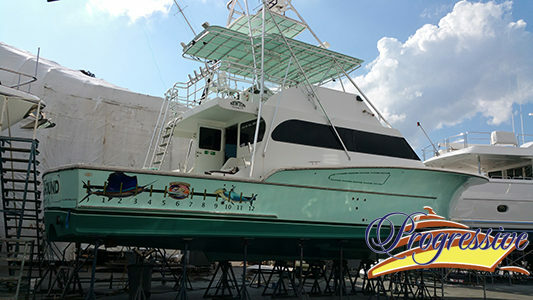 Get an estimate here for marine wax and detailing today. 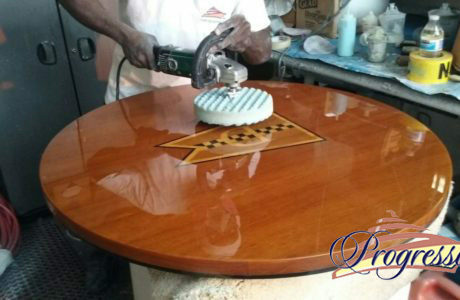 It is very important to keep a good coat of wax on the hull, especially for those who leave their boats in the water all season. You can have your boat protected with one coat while it is still on land. 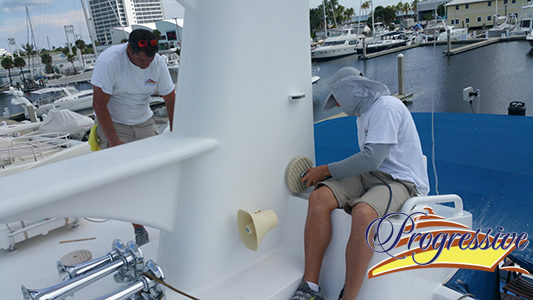 You will quickly see the difference this makes to your boat’s appearance year around. Keep in mind that every season is different and requires special detailing. 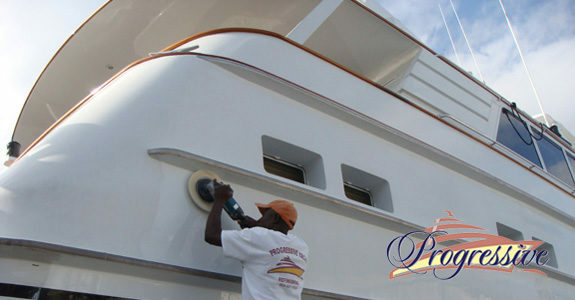 Our yacht waxing service includes compounding and polishing to remove oxidation and filling the pores of the gel coat. We recommend a minimum of 3 waxes per year. 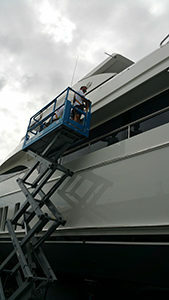 For those who want their vessel to look its best throughout the year, we offer a monthly and bimonthly waxing program.